Seems there’s always something to catch our eye when we’re out feeding buffs. 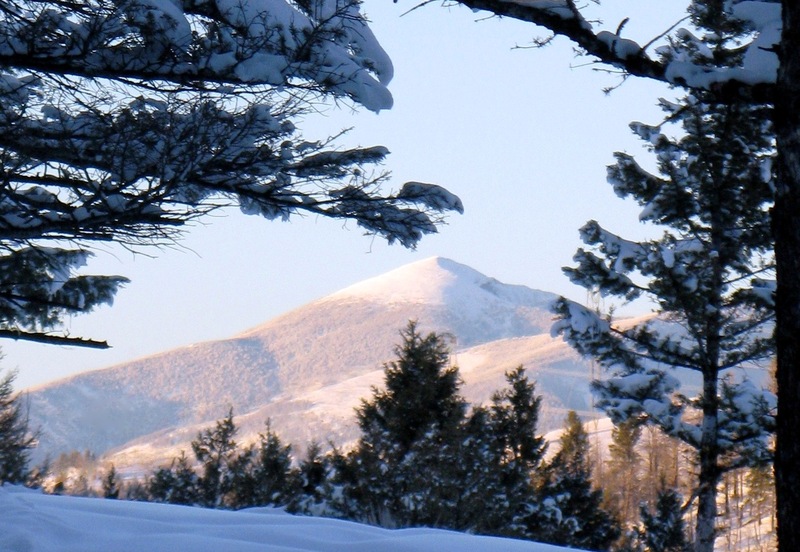 Yesterday evening, it was watching the last rays of the sun illuminate the highest peak in our Big Belt mountains. When snowstorms hit Montana, one often hears reports of cattle and sheep smothered in snow drifts. These domestic animals react to fierce winds by turning their back and walking with the wind, where they are driven into low lying areas and covered with the drifting snow. 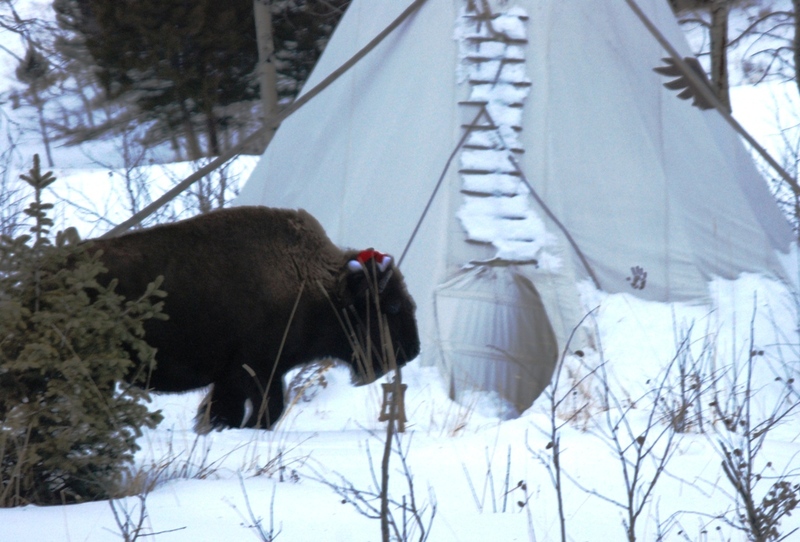 But the response of our bison is dramatically different and, at first, doesn’t make sense. 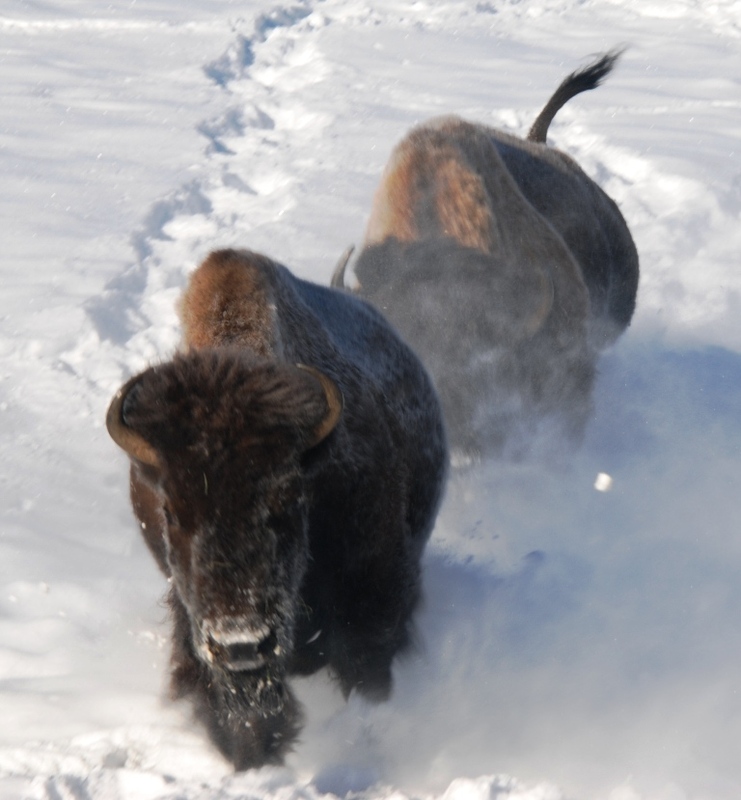 When the north winds are howling and snow sweeps over the land in dense clouds, the buffs turn straight into that icy north wind and climb up almost a thousand feet to the top of our ridges, where the full fury of the wind drives the snow into their faces. But more importantly, it blows the snow over their shaggy forms and on down the slopes into the valleys and fills the drainages with fluffy, deadly drifts. 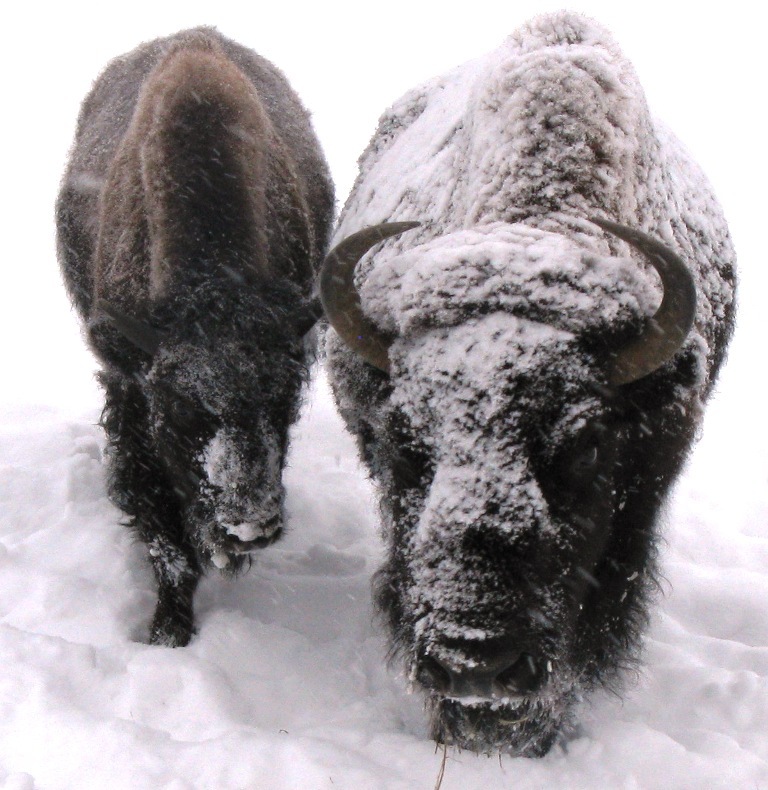 And the bison are left standing on wind-blown ridges of shallower snow, just as they must have done when they weathered the Ice Age two million years ago. Those shaggy bonnets on their heads and dense wool over their shoulders and front legs are there for a reason! 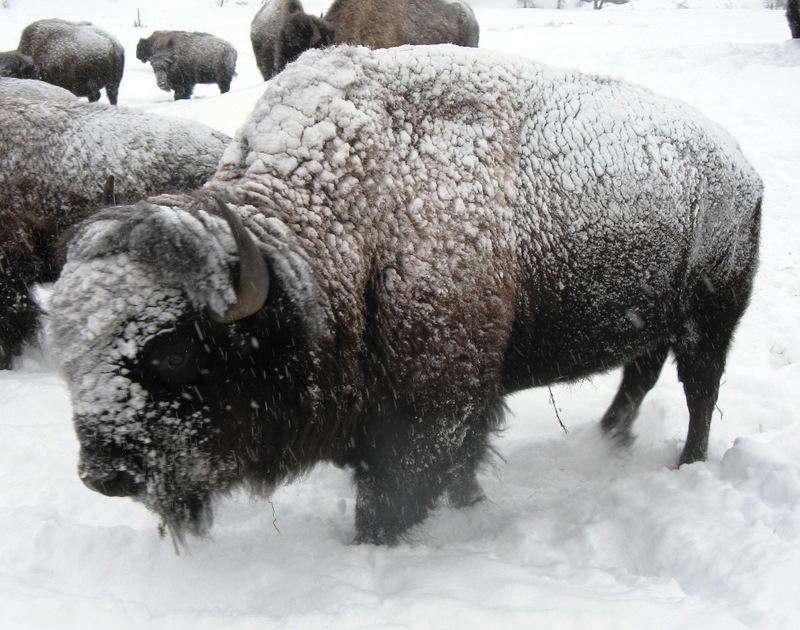 Nothing like a "buffalo bonnet" to keep snow out of my eyes. With insulation this good, the snow doesn't even melt on me. Thanks to all of you who enjoy the blog. I know that I’m not perhaps the most regular of correspondents (no kidding, huh). Life here at BQ is sometimes so busy and overwhelming, that getting to the computer is one of the hardest things for me to do. OK – enough of excuses. My New Year’s resolution is to be a more faithful blogger and, if you want to check back once a week, we’ll do our best to see to it that there’s always something new to look at! 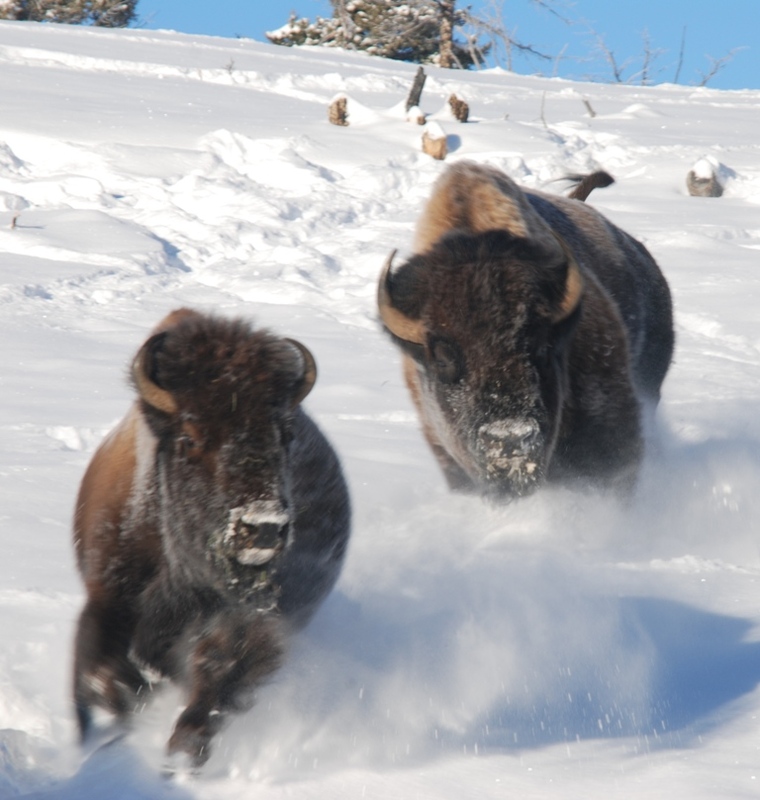 Wishing you the best for the new year from all of us here at Bison Quest. 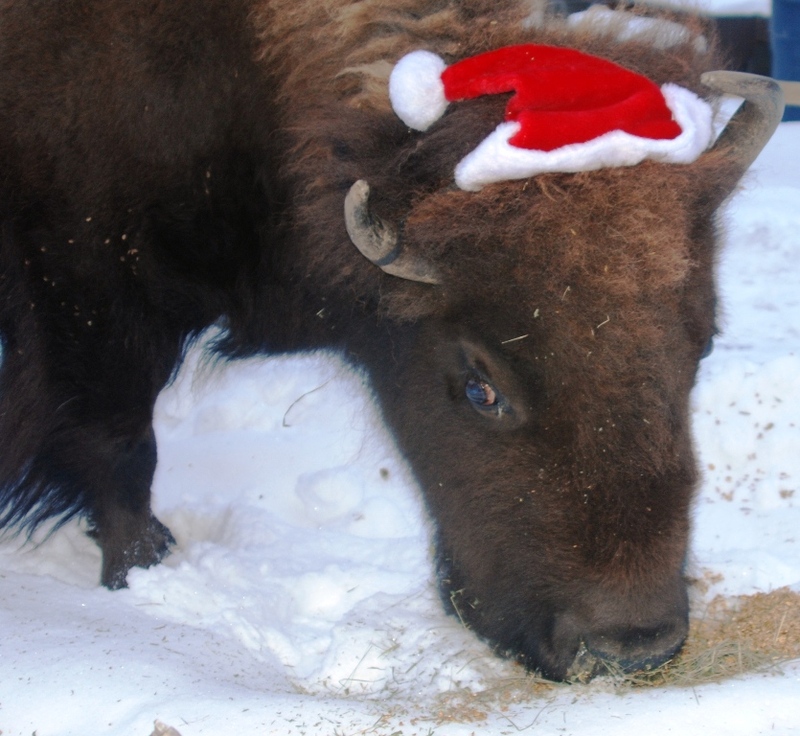 Bison Quest version of Santa Claus making the rounds. Santa Imiko fueling up. Who needs photoshop when you have Imiko! Oh, oh - one ton and gaining fast! Awww, man. I'm so gonna be toast!